The 322nd statistics are impressive enough – 15,000 sorties, 1500 missions and 109 German aircraft shot down. At age 87 (in 2010) William “Bill” Hicks has a grace-filled demeanor and approach to life that makes you want to adopt him as your special grandfather. Four children and grandchildren later, it says a lot about Bill Hicks that family matters loom as the highlight of his life. It says a lot because William “Bill” Hicks was a ground crew mechanic for the 322nd Fighter Group of the U.S. Army Air Force in World War Two, the famed “Tuskegee Airmen” or “Black Birdmen” as the Germans used to call them. 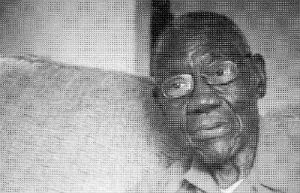 William Hicks, Tuskegee Airman, relaxes at home. Davis was the son of the first black West Point graduate. He was not easily deterred by such harassments as a “scientific” report by the University of Texas which purported to show that Negroes were of too low intelligence to handle such complex operations as air combat. Why they might jeopardize the war effort! In spite of official harassment and rank prejudice, Colonel Davis gathered three squadrons near Booker T. Washington’s prestigious Tuskegee Institute to form the 322nd Fighter Group. 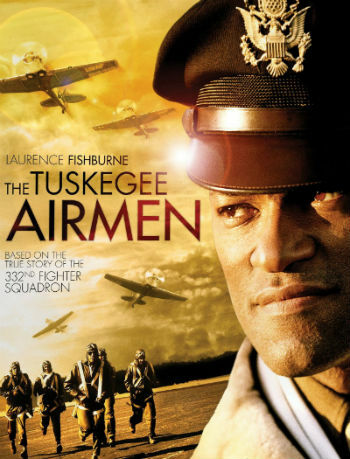 In 1943 the Tuskegee flyers were sent to North Africa and after being shunted around the Wing and cut off from advanced technical instruction on the new planes, they were given their first assignment – a bombing run to prepare for the Allied invasion of Sicily. Bill Hicks was sent to the European Theatre in January, 1944 where he ended up eventually north of Foggia on the Adriatic, servicing and repairing the planes that were guiding bombers over the Alps into Hitler’s Europe. It is established that Redtail pilots’ rate of safe returns was high. Controversy aside, the 322nd statistics are impressive enough – 15,000 sorties, 1500 missions, 109 German aircraft shot down, successfully engaging three jet aircraft over Berlin, 150 Distinguished Flying Crosses. Of the 445 deployed overseas, 150 lost their lives.